Not only is Cadenhead the oldest independent bottler in our database, with 817 whiskies it is also among the major bottlers measured by the number of different bottlings, only topped by Gordon & MacPhail and Signatory Vintage. Corresponding to those 817 bottles we find 3.464 price observations. In one of our recent articles we found out that independent bottlers are less frequently traded than original bottlings but experienced comparable price evolutions. Also, the price evolutions are much smoother and the 100 whiskies that form our Cadenhead index make no exception there. We see that the value of those 100 most traded Cadenhead whiskies climbed by 10% over the past twelve months (since May 2015). Comparable to 2015, it seems like the index growth slowed down in the first couple of months in 2016. It will be interesting to see if those price patterns from 2015 will repeat in the upcoming months, i.e. prices will again climb faster in the closing months of 2016. The above Cadenhead index consists of 968 price observations. When talking about independent bottlers, it is of course very interesting to see from which distilleries they get their barrels from. For Cadenhead we find many different distilleries in our database, the most important ones being Macallan, Ardbeg, Springbank, Bowmore and Laphroaig with each more than 30 different Cadenhead bottlings. This not only reads like a listing of the most prominent scotch distilleries, they pretty much are the most wanted active distilleries there are. 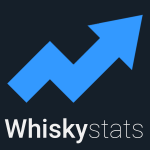 Frequent Whiskystats readers could probably guess that those Ardbegs are the most traded ones with over 400 price observations, followed by Springbank and Macallan with 369 and 217 prices, respsectively. The indices, that compare the price evolution of the different Cadenhead distillerie´s bottlings, bare quite some surprising insights. It is the fact that there is Ardbeg on the bottom and Springbank way ahead of the others that is quite the opposite of what we are used to from our overall distillery ranking. Over the past two years (since March 2014) the 40 Cadenhead Springbank bottles gained 33,6% in value. In contrast to that, the price evolution of the Cadenhead Macallans is way below (100 index points) the overall Macallan index and slowed down in climbing significantly over the past two years, like the Cadenhead Bowmore, Laphroaig and Ardbeg indices all did. The one major bottling series form Cadenhead on the secondary whisky market is without doubt the “Authentic Collection”. Out of the 817 Cadenhead whiskies in our database 252 belong to this series. The other two series from Cadenhead worth mentioning are “Small Batch” and recently reactivated “Duthies” with each 30 and 14 different expressions, respectively. To find out if there are differences in price evolutions, we simply compare the indices of those Cadenhead series. First thing we notice is that obviously “Duthies” and “Small Batch” are relative young series and hence we see no index movements until the first expressions came on auctions only couple of years ago. In contrast, Cadenhead´s “Authentic Collection” has long been traded. The worth of the 252 bottles climbed by 75% in total (since December 2005) and by 7,1% over the past twelve months. For the “Authentic Collection” we recognize the very smooth price increase again. This is not true for “Small Batch” and “Duthies”. While the prices for the 30 “Small Batch” whiskies did not change much over past year, the 14 “Duthies” bottles experienced quite a significant price drop from which they recovered pretty fast though. The oldest Cadenhead in our database is the Glenlossie 48yo (1966) Single Cask. Distilled in 1966 and bottled in 2014, this whisky matured for an incredible 48 years. Back in the year this whisky was “born”, England was football world champion. Therefor, it is of no surprise that the prices observed are fairly high at around 500 Euros. Even older in vintage, but not in maturing time, is the Teaninich 27yo (1957). For this whisky we only have two price observations, the most recent one coming from December 2015 with around 760 Euros. Much more often traded are the Hazelburn 8yo (1997) Bond Reserve and the Longrow 11yo (1994). With 29 and 26 single price observations spread across 28 and 17 different months these two are the most traded Cadenhead whiskies. Most interestingly are the historic prices for the Hazelburn Bond Reserve. First price comes from September 2006 and was 255 Euros. Since then, prices dropped as far as 100 Euros (March 2009). The latest price comes form May 2016 and was exactly 255 Euros again. The most expensive Cadenhead in our database is the Clynelish 24yo (1965). Nowadays, this whisky is rarely seen on auctions. The latest price comes from June 2013 with just below 3.000 Euros. More recently traded is the Springbank 31yo (1965) Authentic Collection. This whisky experienced an incredible steady value growth. First prices come from July 2006 with 388 Euros. Ever since it was fairly regularly traded and by December 2015 even reached a price tag of around 2.700 Euros. Cadenhead is one of the major independent bottlers of single malt whisky. The most famous bottling series is the “Authentic Collection” for which prices climbed by 7,1% over the past twelve months. The list of the major distilleries Cadenhead sources its whisky from is pretty much the who-is-who of scotch distilleries. The Cadenhead Springbank bottlings gained an impressive 33,6% in value over the past two years. The most expensive Cadenheads in our database sell for little less than 3.000 Euros. This topic contains 0 replies, has 1 voice, and was last updated by Whiskystats 2 years, 9 months ago.